Chaplain Deborah began with ECM as an Eden Seminary intern (2011-2012) and has served as needed as a Chaplain since 2014. For most of her adult life, Deborah served the Baptist Church in youth ministry, Christian formation, prison ministry, preaching and serving on church finance committees. She received her M. Div. from Eden Theological Seminary and was ordained in June 2014. Chaplain Deborah earned a Bachelor’s degree in Organizational Development from St. Louis University, the Chancellor’s Certificate in Human Resource Management from the University of Missouri – St. Louis. She has a Master’s degree in Educational Leadership & Policy Studies from the University of Missouri – Columbia. 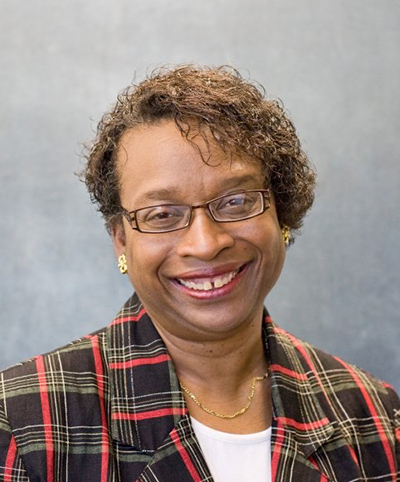 Deborah is currently the Director & Chief Diversity Officer of the Office of Diversity, Equity & Inclusion at the University of Missouri – St. Louis. Deborah enjoys music, cooking, family gatherings at her home and playing with her grandchildren – teens to toddlers.